Michael has an inherited passion for real estate having grown up in a family that has been a long-established force in the Chicagoland real estate market. 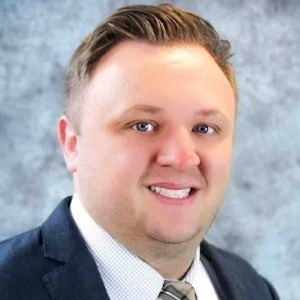 After graduating from The Ohio State University, Michael was a regional director of a successful restaurant group for 7 years then spent the last few years in Pharmaceutical Sales. Realizing his true passion was in real estate all along, he decided he couldn’t wait any longer to receive his broker’s license and has now joined the Mandile + Lorimer Team. Being born and raised in Chicago, Michael has extensive knowledge of the different neighborhoods in the city. He thrives on sitting down and listening to what his client’s needs are and making sure they are exceeded. Whether the goal is to buy or sell a single-family home, invest in a multi-unit residence, or obtain a commercial property, Michael understands that these transactions are some of the most important decisions his clients will make over the course of their lifetime. The success that he has created in his career is a direct result of Michael’s competitiveness, diversity of knowledge, and strong business network. Michael has been able to develop long-lasting relationships with business contacts, family, and friends. It is his ability to connect with people on a personal level that has brought Michael success to this point and will continue going forward. It is Michaels passion for always putting his clients first that gives him an advantage to provide the best possible experience. Let Michael assist you in finding your perfect home!